Ritabhari Chakraborty is a Bengali actress. She made her first appearance in television as the female protagonist of the Bengali television serial Ogo Bodhu Sundari. In 2011, she made her big screen debut in Tomar Shange Praner Khela. Presently she is the brand face of Chandrani Pearls, Rupayan Jewellers, Shehnaz, Sunrise Masala, Siddha, PCO club, Paridhan, Aurum Jewellers, Enkor electronics, Rimi Nayak India, Resham Shilpi, Manini, Ananya and Pincon. Ritabhari grew up in Kolkata and started her career early in modelling and television at the age of 15. She finished her schooling from Hariyana Vidya Mandir. 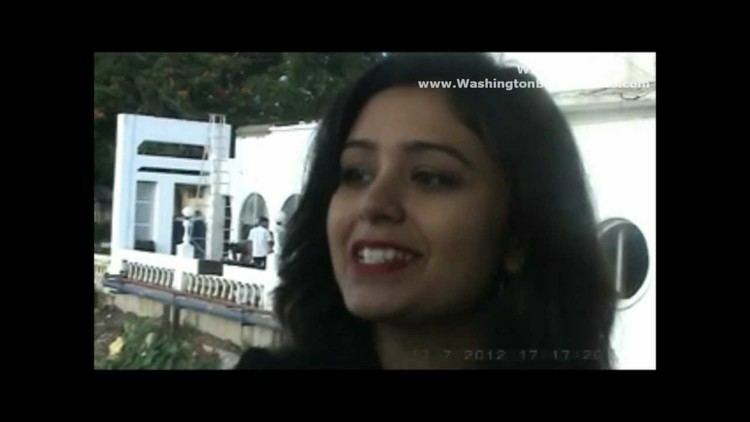 She topped in History and Bengali all over India in CBSE exams in the year 2011. She graduated in History from Jadavpur University in the year 2014. Featured in numerous magazines and advertisements, she is quite well known in the advertising industry as well and has endorsed more than 60 brands . She and her mother runs an NGO "Scud" which primarily focuses on the development of women in rural areas in west bengal (currently involved with Bashtala) . She was the ambassador of the Dog Owners and Lovers association (DOLA) and is also known for her charitable works for the "Ideal school for the deaf". Chakraborty played the female protagonist in the Bengali television serial Ogo Bodhu Sundari. The serial was remade into Hindi as Sasural Genda Phool. In 2011, she made her big screen debut with the film Tomar Shange Praner Khela. The film was directed by Rakesh Kumar, who also directed Sasural Genda Phool. The story of the film explores the relationship of the female protagonist with five men. Later she worked in other films like Prem Unlimited and Tobu Basanta. She was also recently seen acting in a TV series, Chokher Tara Tui, which is aired on STAR Jalsha. She has however quit the serial, stating health issues. She also played the character of Charulata (a theatrical adaptation of Tagore's Noshtonir) for Gautam Halder's cine play "Noshtonir". She also appeared in Srijit Mukherji's multi starer film Chotushkone in October 2014 . She was seen in an Indian Bengali Drama film Bawal directed by Biswaroop Biswas. She was last seen in Onyo Apalaa in 2015 which was an official selection in Indian Panorama She was recently featured in a music video with Ayushmann Khurrana called Orrey Mon - written by Swanand Kirkire and directed by Shlok Sharma which garnered praises from all spheres .